Goldcorp is a leading gold producer engaged in gold mining and related activities including exploration, extraction, processing and reclamation. The Company's main assets are comprised of 11 operations and 6 development projects throughout the Americas. Over 70% of Goldcorp's reserves are situated in NAFTA countries. to 10 million ounces through the acquisition of assets from Barrick (Placer Dome) and Glamis Gold Ltd.
Gold production is forecast to increase by over 50% in the next five years. The Red Lake Gold Mine is composed of two operating complexes: the Red Lake Complex and the Campbell Complex. Red Lake Gold mine is Canada's largest gold mine, and in 2007 produced 700,600 ounces. It is also one of the world's richest gold mines and lowest cost producers. The Campbell Complex has been in continuous operations since 1949, producing over 11 million ounces. 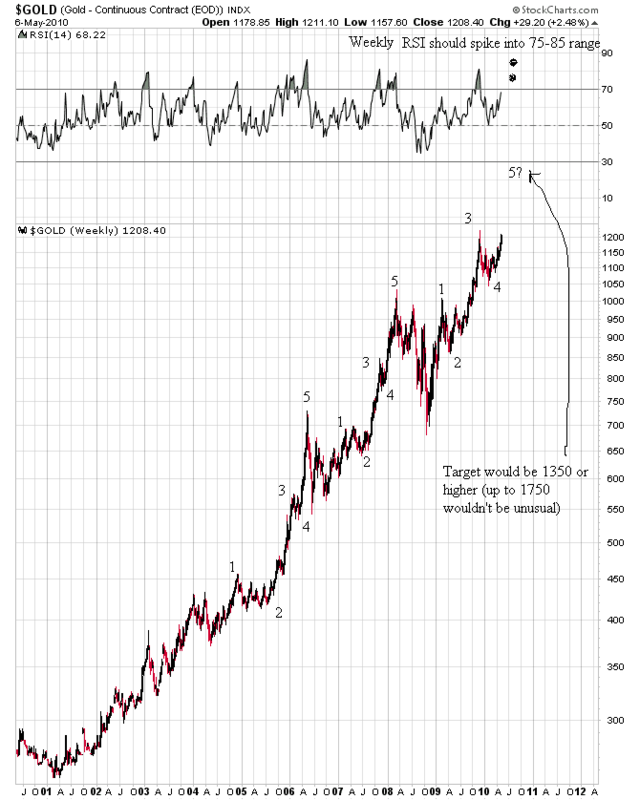 In the 1971 to 1980 gold cycle, gold went from $35 per ounce to $850 or up over 24 times. 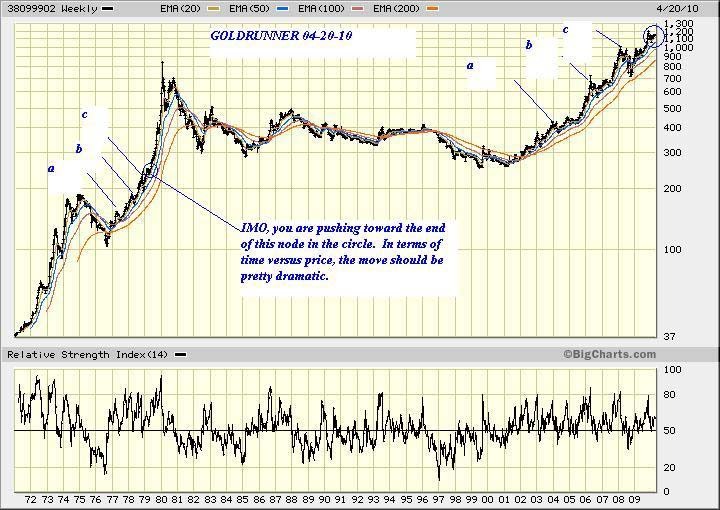 If we were to see the same increase in this cycle, gold would rise to over $6,000. Gold and gold mining shares were an average of around 25% of world financial asset between 1921 and 1981. Today, gold and mining shares are only 0.9% of world financial assets. If gold and mining shares were to go to 25% of financial assets, gold would go to over $31,000. 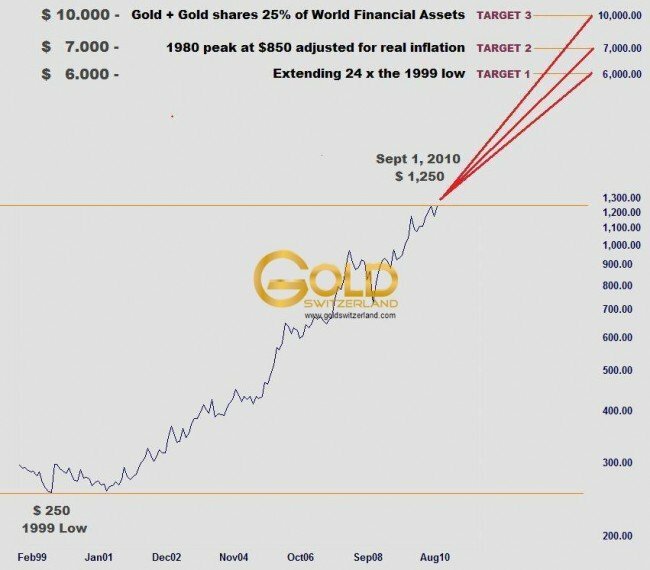 But even if we assume that world financial asset would go down by 2/3rds from here that would put gold at over $10,000. 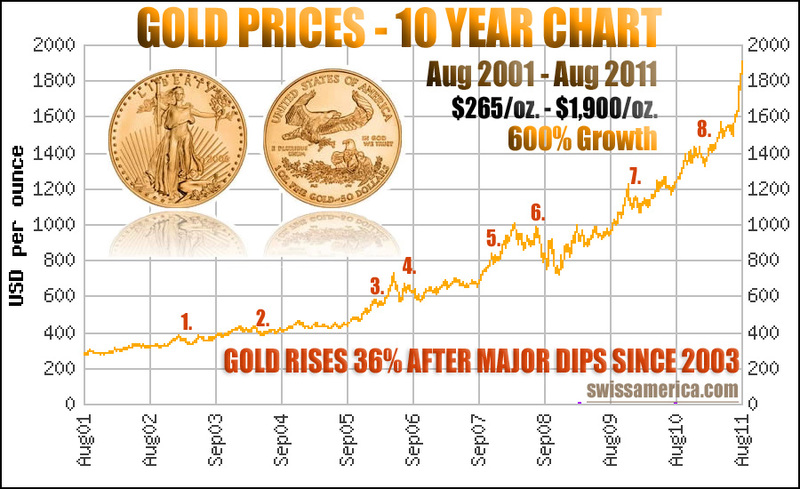 The three historical comparisons above (and see chart below) would put gold anywhere from $6,000 to $10,000 and this is without inflation, or more likely hyperinflation. In a hyperinflationary environment, the price gold will go to is really irrelevant since it depends on how much money is printed. In the Weimar Republic for example gold went to DM 100 trillion. What is more important is that gold is likely to go up at least 5 times from today without inflation and with hyperinflation gold will protect investors against the total destruction of paper money and many other assets.